Product prices and availability are accurate as of 2019-04-24 01:10:41 UTC and are subject to change. Any price and availability information displayed on http://www.amazon.com/ at the time of purchase will apply to the purchase of this product. A fashion statement for any occasion. You just won't want to waste this spanking the kids , or him. 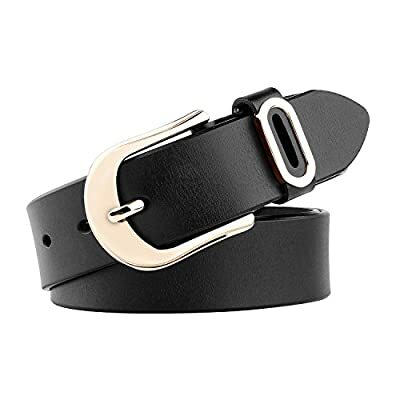 This women leather belt is crafted with high-end cowhide leather, which is extremely soft and comforable to wear. Our sturdy light and strach-resistant buckle creats a substance with greater strength and resistance to corrosion. This leather casual belt suit waist size 27 to 32 inch, US size 8-14. Puncher helps custom size to perfect suit easily. -Please allow sight measurement deviation from the data. ---1.To loosen belt from buckle- easily unscrew the screw beside the buckle. 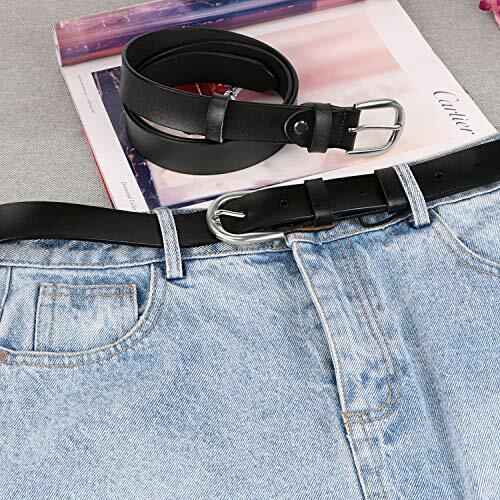 ---2.Cut the belt to your desired size and secure it firmly with closure. We provide 100% satisfication and 1 year warranty on our products. If any questions or concerns, we will respond your email soon with a satisfied solution.
? 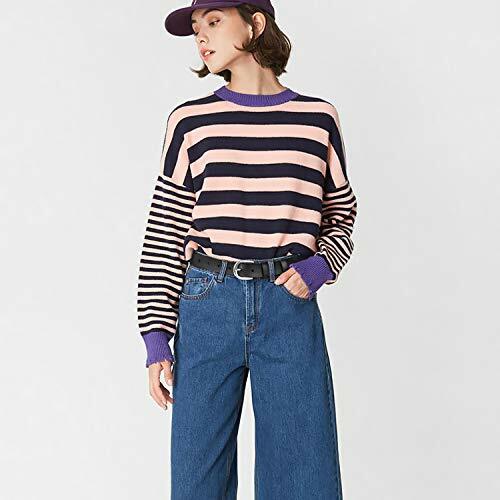 Suitable Size - The total length of this belt is 110cm, from the buckle to the first hole and the last hole 32.5"-38.5", suit pant size 27"-32" (US size 8-14 ). ? Easy to adjust - There are seven holes on the belt to get micro adjustment. If you need to shorten the belt, just remove the buckle with a screwdriver and trim the strap to get your desired size. Please feel safe to make the trim, we guarantee you a free replacement even you cut it too short. ? 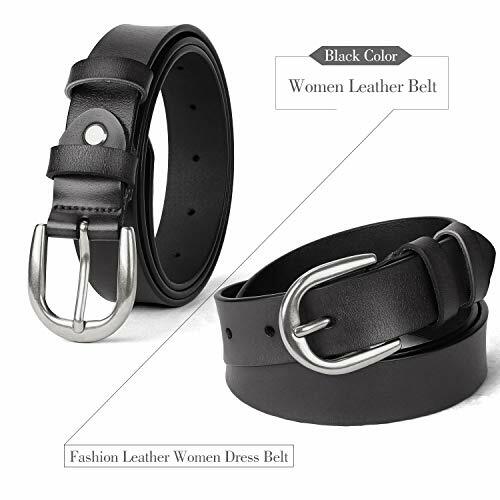 Reliable Material - This fashion belt is made of genuine leather, and it can last about three years for daily normal use. 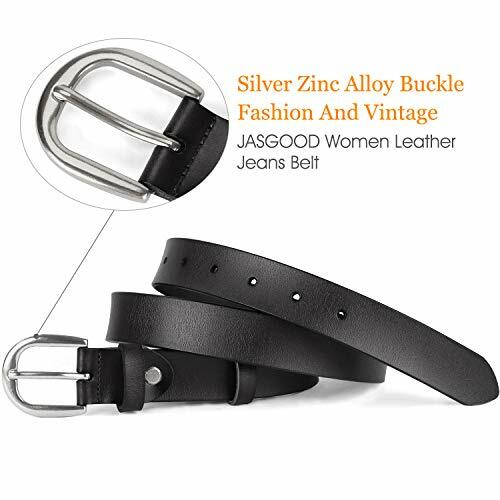 The buckle is made of zinc alloy, solid and durable. It won't get scratched easily, always stay shiny and golden appearance. It is choice to collect and daily wear for any occasions. ? 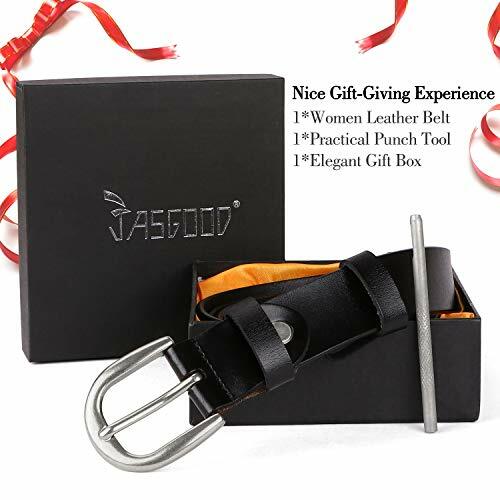 The belt comes with a puncher in a nice gift box. A nice Christmas gift to family and friends. ? 100% Satisfaction Guarantee - We are always ready to receive any judgement, advice and suggestion from our customer. If there is any question or problem about our product or your order, please do contact us. Click our seller name under the "In Stock" and choose "Ask a Question" to get in touch with us.